The end of our trip was a lot of traveling, a lot of singing, and hardly any access to wifi. While it was mainly sitting around, it was still a wonderful time. While the applause was fun and encouraging, the best part of the concert was being able to use my talents to glorify Christ. We all cried. We all worshipped. People came to watch, some took their hats off, some joined in with us. It was very much a holy moment and it was extremely evident that God was with us. We are here during a big moment in history. We do not think it a coincidence that we were brought here during this time either. Please continue to pray for me and the rest of the Chorale as we embark on this journey. Spain is hurting, Barcelona/Catalonia is hurting and the Christians are hurting. They need our prayers and the hope that Jesus brings during this difficult time. While many of us are scrambling to get ahead in class work and to do midterms before we leave, we can't help but be excited for the many experiences we will have on our trip. 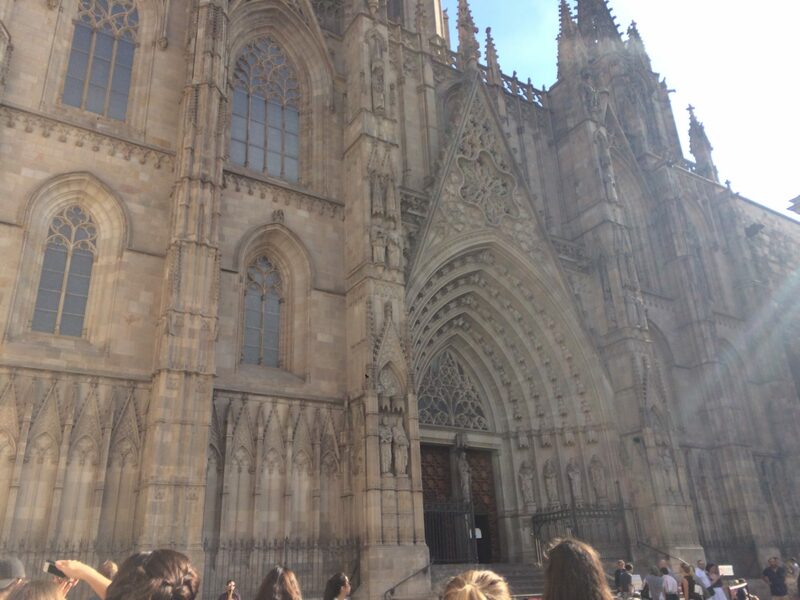 Welcome to my blog about my trip to Spain! See the “About” page for information about why I’m on this trip and the blog posts for frequent updates about what we’ve been doing. Feel free to contact me with any questions!